Click on the picture above to watch the video! Had a moment (or two, or three) of frustration with youtube, but I got around my frustration by creating a clickable picture above that will take you directly to the video. Alternatively, you can just click here. 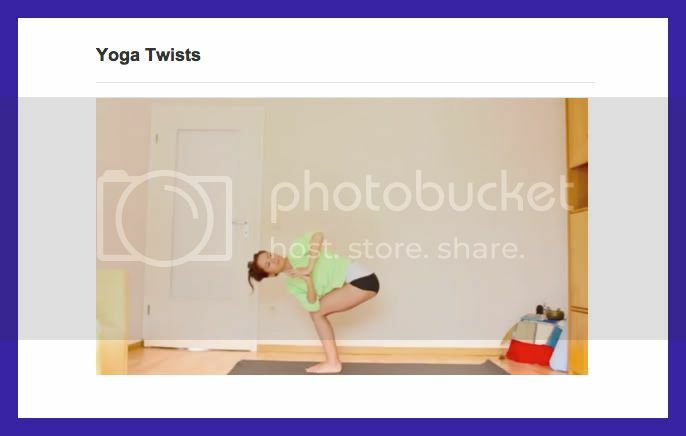 The video is about 3 minutes and explains the benefits of twists in the yoga practice, and gives a number of different ways you can incorporate twists into your own sequence. Hope you enjoy. PS: A breakfast cookie recipe, a fascinating read about competitive yoga and Bikram, and a morning yoga practice to start your day off right.